So we will need a poster for each menu item, which can be printed on A3 or A4 paper. 2. Design DL card for letter distribution - present the flyer to get 20% discount. a) Beef Burger Special $9.9, add fries for $5, Add a hot drink or water for $2. 4. Design a long banner for print 2 meter wide and 60 meter high showing bigger pictures of a coffee, cold drink like summer crush, a burger. 5. 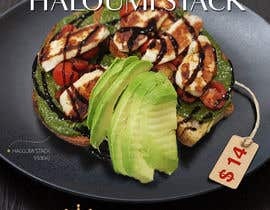 A4 Menu Poster for each Item with Price from the Menu and photo with standard header and footer. 7. 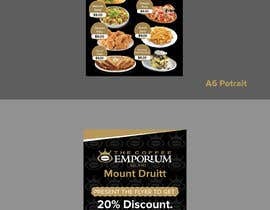 Price Cards - Two sided design (one side showing $4.10 on on side in the middle in large fonts, on the other side, it will show the Coffe Emporium Logo and Mount Druitt under the logo with small map location of the shopping centre, and phone number. Search coffee emporium mount Druitt on google to get the exact location on the google maps. Post one Poster for Burger Special for the competition based on the sample posters and content provided, you can provide more if you want. The finalise all the posters posters there will be offline discussion to confirm the content and design. More textual content will be provided to the winner to finalize all the posters, cards and banners. The designed posters to be ready to printed with cutting guidelines.